Bhubaneswar: Kumari Swarnalata Dalai, a 20-year-old tribal girl from Kalinganagar, Odisha, is all set for her Mount Everest expedition in the coming weeks. This was announced today at a press conference held here. Her expedition is being sponsored by Tata Steel and being organised by Tata Steel Adventure Foundation (TSAF). TSAF regularly conducts various trekking programmes and expeditions to peaks across the world. One such annual event is the prestigious Mount Everest Expedition. For “Mission Everest 2018” three talented candidates Swarnalata Dalai, Poonam and Sandeep Toliya, trained under Ms. Bachendri Pal, Chief, Adventure Programmes, have been selected by the Foundation to participate in the expedition. TSAF has been conducting the Biju Patnaik Himalayan Expedition for the Government of Odisha since 2016. Ms Swarnalata Dalai from Odisha was spotted by TSAF for her mountaineering skills and excellent performance while participating in the 1st edition of Biju Patnaik Himalayan Expedition. In 2017, Swarnalata had participated in Mt. Rudugaira Expedition under the Biju Patnaik Himalayan Expedition. She also participated in few other expeditions like the Roopkund Trek in Garhwal, one of the toughest treks and the Indian Women’s Gokyo – Everest Grand Circle Expedition, which helped her to get selected in the Mt. Everest Expedition 2018. Her Mt Everest expedition is being organised by TSAF and sponsored by Tata Steel. “We are proud of Ms Swarnalata Dalai and would like to congratulate her for being selected in the team to trek Mount Everest. We really appreciate Tata Steel Adventure Foundation for providing her with the right training and empowering the mountaineers with the right skill-set in this endeavour. 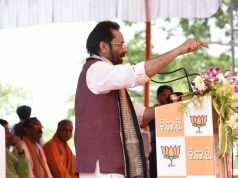 The Odisha Government is committed to promoting adventure programmes among the rural populace of the State. The objective is to involve rural youth in trekking and mountaineering activities, develop their spirit of adventure and leadership qualities, motivate the larger populace to pursue different sporting disciplines and provide them with available platforms to showcase their talent” said, Mr Chanchal Rana, IAS, OSD, Department of Sports and Youth Services, Odisha. “We at Tata Steel would like to thank the Government of Odisha for providing us with continuous support for promoting sports in the State of Odisha. We take pride in our association with the state government in organising events like Tata Steel Bhubaneswar Half Marathon and Biju Patnaik Himalayan Expedition. 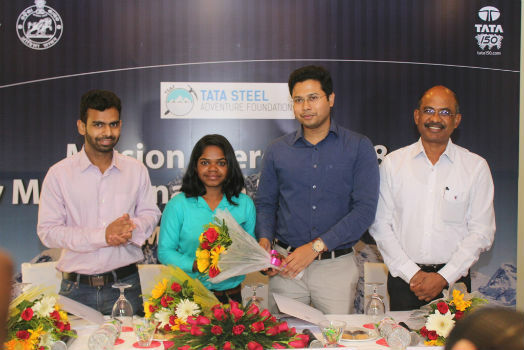 We hope the selection of Ms Swarnalata Dalai will further encourage the youngsters of Odisha to participate in sports and more so in adventure sports like mountaineering” said Mr. Manikanta Naik, Chief Resident Executive, Tata Steel, Bhubaneswar. “I am very excited to be a part of the Mount Everest expedition. I am grateful to our State Government, Tata Steel and Tata Steel Adventure Foundation for placing their trust and confidence in me by providing such a huge opportunity. I wish more and more youth from our state would participate in sports and adventure activities” said Swarnlata Dalai, the young mountaineer from Jajpur, Odisha.